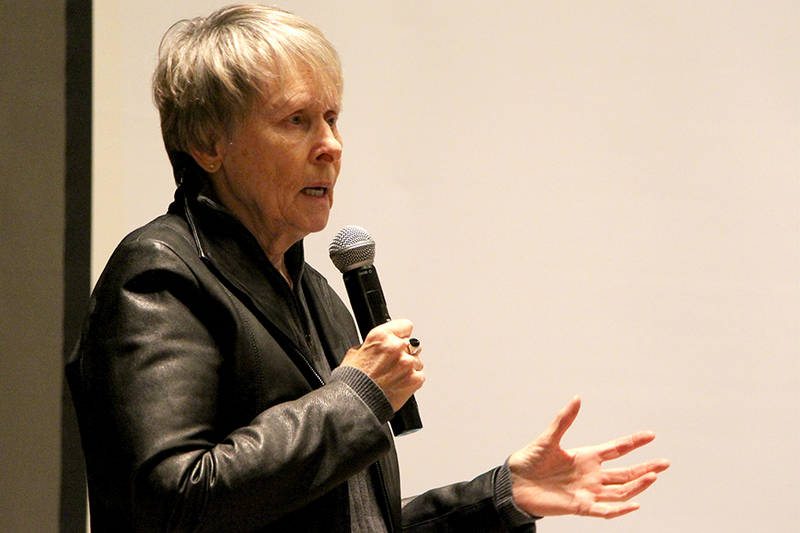 Roberta Bondar visited the University of Saskatchewan on Feb. 4 to give a lecture titled "Earth patterns from afar: A challenging perspective." She may be most well known for being Canada’s first woman in space, but when it comes to the story of Roberta Bondar her micro-gravitational adventure is only the tip of the iceberg. Bondar—who has a BSc from the University of Guelph, an MSc from the University of Western Ontario, a PhD from the University of Toronto, and an MD from McMaster University—has spent the bulk of her career in research medicine focusing on neuro-ophthalmology and the effects of space travel on the human body. And her interest in neurology may well have been influenced by one her favourite pursuits: photography. "I've always felt that in neurology, the eyes are the windows to the soul," Bondar said. "In those days we didn't have CT scanners or MRIs, so you could really pinpoint where a lesion was in a brain by knowing about eyes and eye movements, so it was something that was a passion of mine and still is." Bondar, who was also the first neurologist in space, spent the majority of her eight days on the shuttle Discovery conducting research and experiments aimed at helping future astronauts spend extended periods in space. And it was a busy period for the researchers on the Spacelab, because without gravity the experiments took two-to-three times as long to perform, and she took particular interest in some of her research subjects. "I was fascinated by some of the physical experiments, because in space we can grow crystals that are really large (since) gravity doesn't deform their shape, they'll keep growing," she explained when asked if one of the experiments particularly piqued her interest. "These crystals are important in the semiconductor industry, and some are important actually for looking and detecting breast cancer—when we look at various types of heat that come off of various types of tumours."